Taking credit from the bank for meeting the expense of education is not new. But students and the families face trouble when it is time to pay back the loan along with the huge burden of interest. 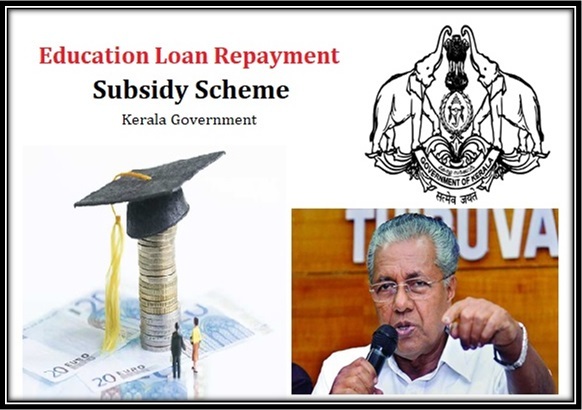 To lessen this burden, the state government of Kerala has announced a new scheme called the Kerala State Government Education Loan Repayment Yojana. By this program, the government will assist the students financially in repaying the educational loans. Assisting the students only – The scheme has been designed by the state government to assist the students who are struggling in paying the credit that they had taken for the completion of the educational course. Scheme tenure – It has been mentioned in the draft of the scheme that the candidates, who want to get the subsidy or the economic assistance for the payment of the loan, will be assisted by the state government for a period of four years. Category I – Under this category, only those applications will be entertained where the total amount of the loan is not more than 9 lakhs. The time of repayment must commence between 1st April, 2012 to 31st March, 2016. According to the rules of IRCA, designed by the RBI states that the asset must be a single entity in the passbook. Category II (a) – Under the category, the total amount of the loan must not be more than 4 lakhs. The loan sanctioned must fall under the NPA (Non-Performing Assets) account. For mitigating this account, the candidate must approach on a time bound settlement or regularize the account with annual installment-based payments. Category II (b) – The account that falls under this particular category has all features same as the one falling under the Category II (a). The only difference is that the total amount of the loan needs to be above the 4 lakh mark but cannot cross the 9 lakh mark. Category III – The category will deal with the accounts, which are associated with the candidates who are either physically and/or mentally injured or disabled. The candidates who have died either during the education tenure, or after the loan was sanctioned, will also be recognized under this section. Only for residents of the state – It has been highlighted in the scheme that the candidates who will apply for the scheme will have to be permanent members of Kerala as the program has been designed exclusively for people of the state. Similarity of data – The applicant must make sure that the data provided in the KYC form of the scheme must match with the data that has been provided in the banks. Banks located in Kerala – Only those candidates will be allowed to get the benefits of the scheme who had received the loan for the any bank that is located within the borders of the state. Kerala State Co-operative Bank, Kerala Gramin Bank, KSCARD Bank, commercial banks or District Co-operative Banks will fall in the list. Quota candidates will not be permitted – If the student has acquired the admission in the college or institute under any management quota, then they will not be permitted to get the benefits of the scheme. Nursing courses under management quota – It has been mentioned in the draft that students who have been admitted in any nursing institute for acquiring nursing training, under management reservations, they will be able to apply for the scheme. Credit from abroad is excluded – If the candidate has taken the credit for meeting the expenses of higher education from abroad, they will not get the benefits of the Kerala subsidy scheme. No subsidy without PAN card – It has been mentioned in the draft of the program that the students who have borrowed the money must have a valid PAN card. Without this, the application will be rejected. Income related requirement for the family – It has been highlighted that the yearly income of the parents of the students must not be more than 9 lakhs, if the case is related to a dead candidate or the candidate is afflicted with 40% disability. For the others, the upper limit of the income is 6 lakhs. Income related requirement for the student – The guideline says that the current salary of the student who had applied for the credit originally must not exceed 4 times the amount of the loan repayment for an entire year. Accidental eligibility of the program – A special section has been reserved, under which any creditor who dies or becomes afflicted with 80% or more disability as a result of any accident or illness, will be provided economic assistance. 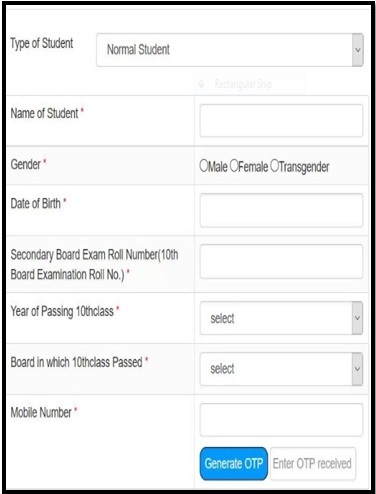 Certificate of 10th standard pass – The first document that you need to attach with the registration form is the certificate that will support the claims that the student has passed the 10th standard successfully. PAN Card – It has been mentioned already that the applicant will not be able to register for the process if they do not possess a valid PAN card. Either the main candidate or the co-borrower must provide the PAN details. Aadhar Card – Last but not the least; the person who is applying to avail the benefits of the scheme will have to attach a Aadhar Card copy with the registration form. If the main candidate is dead or disabled, then the co-borrower must provide his/her Aadhar details. Eligibility certificate – Attaching the eligibility certificate that has provided by the Village Officer or any other authority, is a must during filling the application form. Without it, the application will not be accepted. Death Certificate – If the student has died, then the applying candidate will have to get a copy of the issued death certificate from the respective authority, attached with the form. Disability certificate – The subsidy will also be given to the students who had applied for a credit and then met an accident that resulted in disability. For this, the submission of the disability certificate is a must. Course Completion certificate – While filling in the application process, the students will have to attach the documents, which will ensure that the students have successfully completed the course. Salary certificate – For those students who have been successful in bagging a job, after the completion of the course, they will have to submit documents, which will highlight their salary related details. How to get education loan subsidy application form? The entire process of application must be done via the online portal. There is no manual process required for getting the registration form as well as the application form. Both the forms are available from the official website of the state government of Kerala. Clicking on the link elrs.kerala.gov will assist you in the process. Clicking on the authorized site of the state government will assist one in getting the registration process stared. http://elrs.kerala.gov.in/ is the official web address of the site. Once the home page is opened, the candidate will have to click on the tab that has been marked as “Students Registration.” When it is clicked, one will get access to the registration page. There are different fields, which must be filled with data pertaining to the name, address, contact details, birth date of the candidate. After filling the fields, the “Generate OTP” option must be clicked. The unique OTP will be sent to the registered contact number. The next section of the registration form requires the candidate to upload scanned copies of 10th pass certificate, PAN card, and the Aadhar card. Once everything has been done, the “Submit” button must be clicked. How to Register in the Kerala Loan Scheme? Accessing the application form – The candidate will need to use the generated ID and password on the official webpage and get form that has spaces for general information about the candidate is asked for, like the permanent residential address. Providing course details – Then the candidate must furnish the particulars of the course, like type of course, duration, date of completion or whether the admission was secure under any management quota or not. Providing employment details – Though disabled candidates will not be valid for this, the others who have managed to get any form of employment in the formal sector, must divulge all job related particulars. Category of the candidate – The information about the yearly income and other such details, of the family of the candidate must be furnished for verification. There are some sub-sectors under this category too. Details related to disability – There are many reservations for candidate who have been rendered disabled due to any accident or illness during the course. Such candidates need to provide details about the extent of their disability. Details related to bank account – The state government will provide the monetary assistance by transferring the money directly into the bank account of the candidate. Thus, providing the account details is a must. Uploading necessary documents – After all details have been filled in, all scanned copies of required documents must be uploaded on the site. Check the application form for eliminating any errors and then make the submission by clicking on the appropriate link. As per the reports of the government, the state authority has allocated a whopping Rs. 900 crores for meeting the financial requirements of the scheme. This large sum will be utilized for reaching out of as many students as possible, who are financially not strong enough to repay the educational loan. Sir, This is very helpful for us. But I cant select Or type the name of college, so i can not submit the application.